Fall Creek Trail at Geist Dam is located on Fall Creek Rd north of 79th St. Follow gravel trail 0.2 mi to complete EarthCache. Plans are to extend this trail to meet Upper Fall Creek Loop Trail in 2009. There are several caches along these trails. Geist Reservoir is Indiana’s largest man made lake, and the second largest body of water after Lake Wawasee. 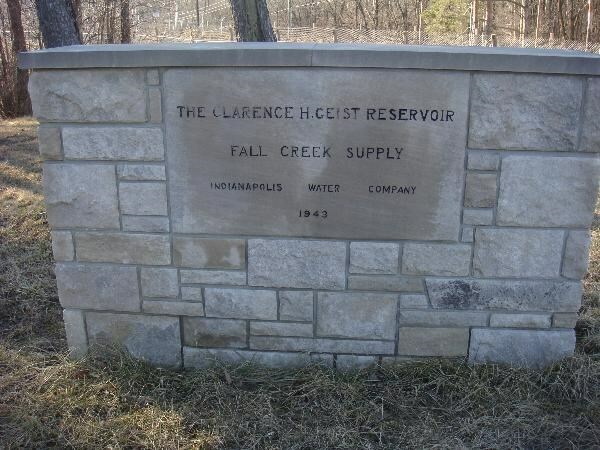 Geist Reservoir was named after Clarence Geist (1874 – 1938), former owner of the Indianapolis Water Company, who foresaw a deficit in Indianapolis’s water supply and envisioned Geist Reservoir to preemptively address the problem. Geist purchased 5,000 acres of land in Fall Creek Valley for the reservoir. 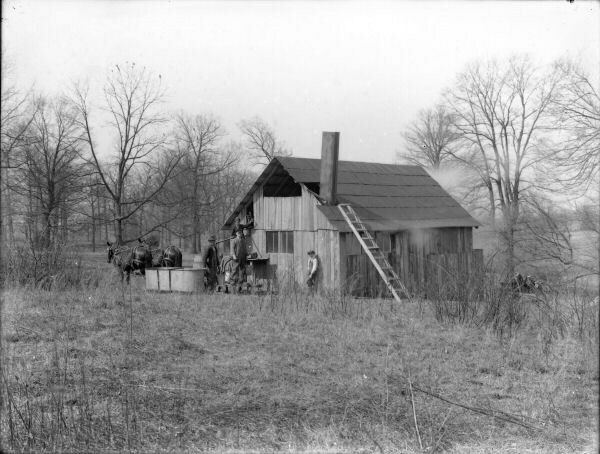 Included in the purchase of this land was Germantown, which was located on Fall Creek’s north bank on the Hamilton and Marion County line. It now lies on the bottom of the lake, at the entrance road to the Geist sailing club. Planning the reservoir began in 1923, but construction did not begin until 1941. The reservoir was completed in 1943. Geist Reservoir is now owned by the city of Indianapolis. The reservoir is mostly shallow at a depth of about 10 feet, with a maximum depth of 48 feet. It has a water surface of 1,900 acres and a storage capacity of 6.9 billion gallons. There are 35 miles of shoreline lined with homes. Geist reservoir is a recreational resource for swimming, boating and fishing. 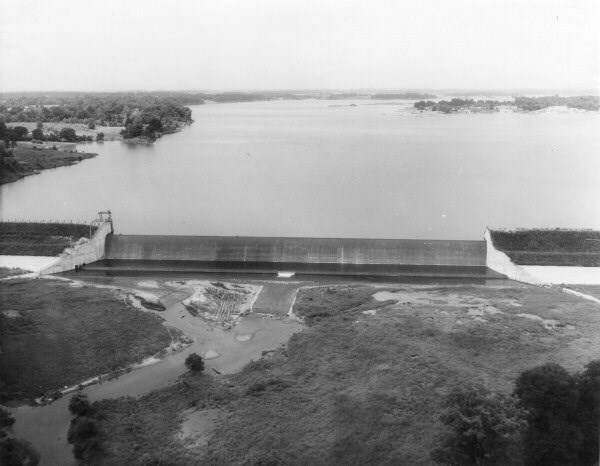 The dam that created Geist Reservoir is located at the south end. The dam is 1,900 feet long, 40 feet high from the valley floor with a water depth of 26 feet at the dam. The embankment structure of the dam is earthen fill, the most commonly built type of dam in the U.S. constructed of earth and rock. These dams rely on their heavy weight to resist the force of water. Usually there is an impermeable core that is covered with earth or rock fill to prevent water from passing through. The outlet is an open crest spillway. Fall Creek watershed has a drainage area of 318 square miles. 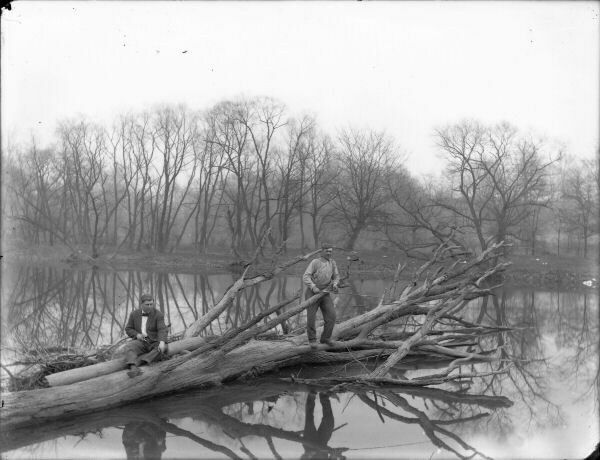 Fall Creek begins in Henry and Delaware counties and flows thru Madison, Hamilton and Hancock counties into Geist Reservoir. Including Fall Creek, there are 15 tributaries flowing into Geist Reservoir. Fall Creek flows from the dam and discharges into the White River 17 miles downstream at the IUPUI Campus. Geist Reservoir is one of three reservoirs used to supplement the Indianapolis Water supply. When rainfall is low or other factors affect the flow of rivers and creeks, water is pulled from reservoirs to supplement the flow to treatment plants. Geist reservoir flows to the Fall Creek water treatment plant. Geist Reservoir dam has an outlet valve that can be opened to allow an increase in water flow to the treatment plant. The decision to open or close the valve is based on information collected daily, so enough water can be produced to meet consumer demand. This usually occurs during periods of low precipitation. When the valve is open, the reservoir can drop 1- 3 inches per day, depending on the amount of water discharged. 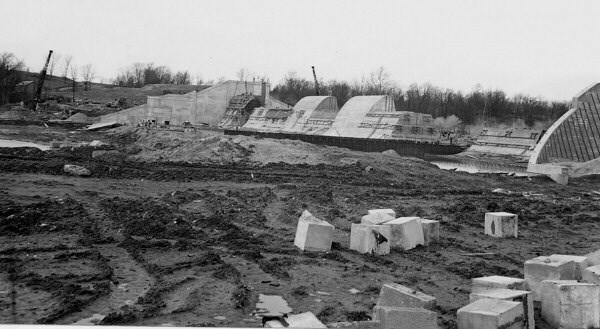 The lowest level for Geist Reservoir was 6.64 feet below the top of the dam on November 3, 1988. The Fall Creek watershed is located in the Tipton Till Plain and has mostly a flat to slightly rolling topography, underlain by calcareous glacial till. The soil is a mix of poorly and well drained soils that are moderately deep. Unconsolidated deposits are primarily loam till and can measure up to 350 feet thick. Stream valleys consist of lake sand and alluvium and is underlain by bedrock. Bedrock is comprised of Paleozoic limestones, dolomites and shale and can be seen exposed at the surface near Pendleton. To claim this Earthcache, begin your hike at the parking coordinates listed above, head north and follow the gravel trail approximately 0.2 miles to the water’s edge N39.54.545 W085.59.176. Here, you will see the reservoir side of the dam. Continue your hike south on the trail and you will cross over to the spillway side of the dam N39.54.465 W085.59.194. 1. Post a picture of you with your gpsr and either side of the dam in the background. Optional but appreciated! 2. In your log write a short narrative describing what you saw, heard, and experienced on the spillway side of the dam. For example, during my last visit the spillway looked like a large waterfall as the water rushed over the top. The rushing water roared loudly and the creek bed was flooded. 3. Click here to view current reservoir levels and the valve status at Geist dam. You will see that the top of Geist dam measures 785.00 above sea level. Email me the answer to three questions. Please do not include in your log. A. What is the most recent measurement of the reservoir level at the time of your visit and how much does it differ + or – from the dam height of (785 ft)? B. Does this measurement reflect what you saw (ie, reservoir level greater than 785 ft. and water spilling over the top of the dam)? C. Is the dam valve open or closed?